Here is a great resource from Learning Network section in The Times especially helpful for engaging students in creative writing tasks. This is basically a list of 400 prompts for argumentative writing. The list of prompts which is also available in PDF format is meant to inspire students to write on a variety of contemporary issues from sexting to parenting and social media use. 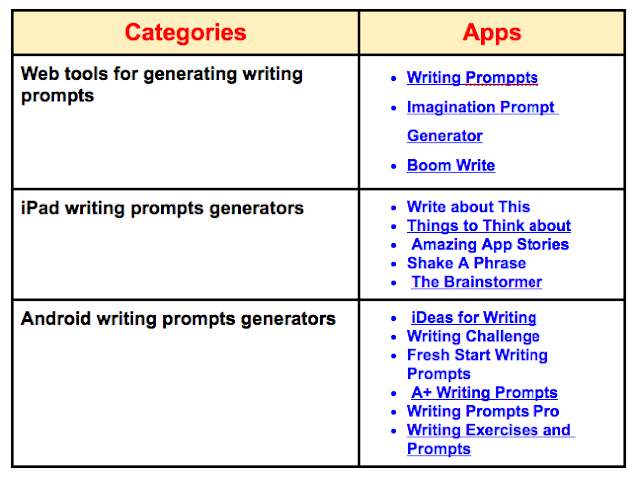 Alternatively, you can use different web tools and mobile apps to generate you own writing promPTS. Check out this page to learn more.